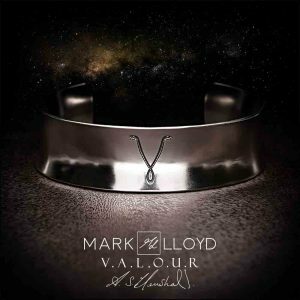 Valour is the new and exciting collaboration brought to you by Mark Lloyd and Scott Henshall and promoted with Cooper King Gin Distillery. 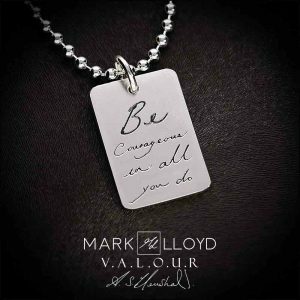 Valour: Be Courageous In All You Do” is the motif of this, Mark and Scott’s new jewellery line. 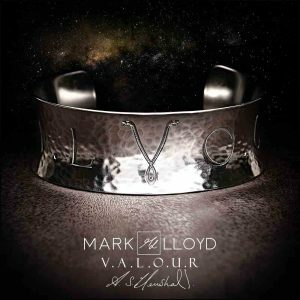 Born in Yorkshire by international fashion designer Scott Henshall and forged in the North East by Master Goldsmith Mark Lloyd, Valour is the first jewellery collaboration between these two maverick talents. 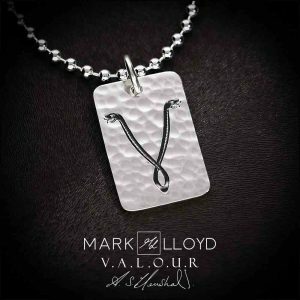 Hand hammered solid silver pieces rock the Valour logo as well as inspiring bold statements. 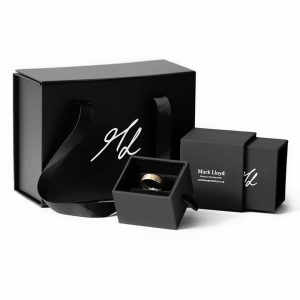 Scott has been on the fashion scene since 1998 when he burst into the limelight as the youngest ever designer to show at London Fashion Week before being made the youngest creative director of luxury British fashion house Mulberry. 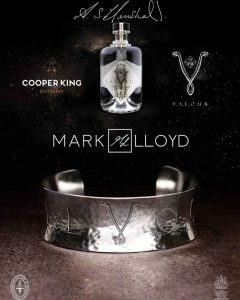 York based Cooper King is one of the newest and most exciting distilleries with gin made with honey from their family beehives and locally grown lavender and lemongrass. 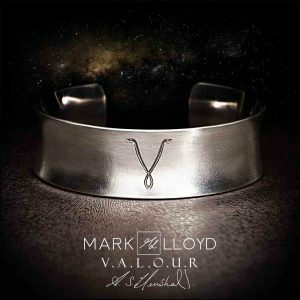 Large Valour bangle with two headed snake design, hammered and curved for comfort. 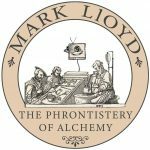 Please use our size guide and contact us if you require a particular measurement. Medium Valour bangle with two headed snake design, hammered and curved for comfort. 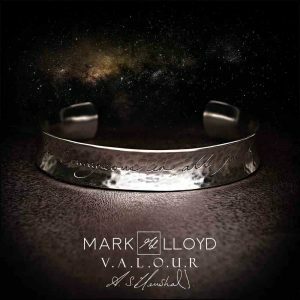 Small Valour bangle with “Be Courageous in all you do” message. Hammered and curved for comfort. 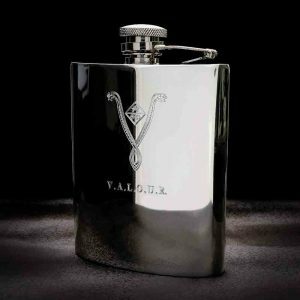 Pewter hip flask with hinged lid, engraved with the Valour two headed snake logo and CooperKing logo. 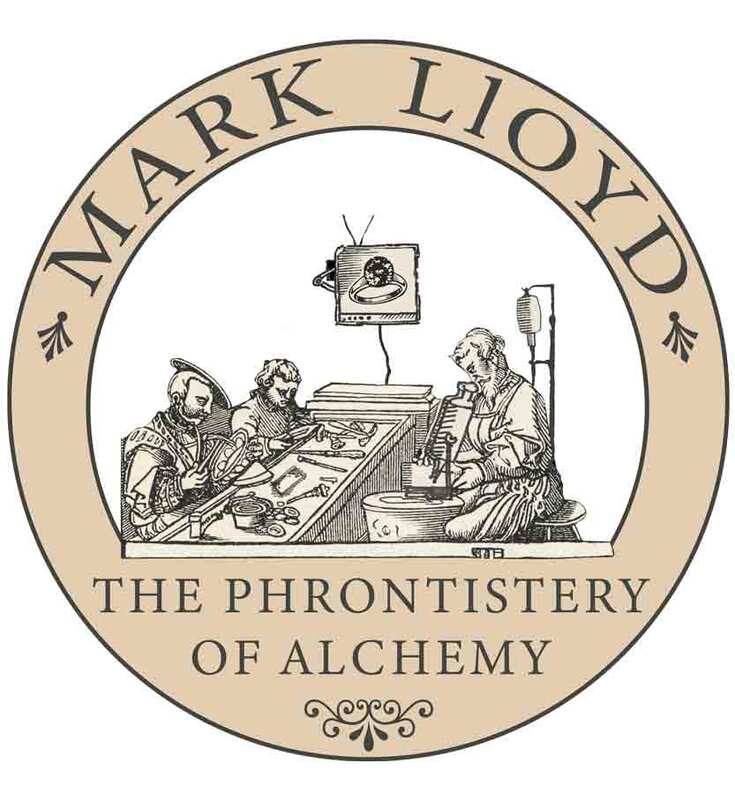 Exclusively available through Mark Lloyd this unique hip flask comes with a padded box and funnel for easy pouring. Valour pendant with slogan “Be Courageous in all you do“ is uniquely and individually hand-made by Mark Lloyd with state of the art deep laser engraving. Contact us if you wish the size of chain to be altered. Valour pendant with snake emblem is uniquely and individually hand-made by Mark Lloyd with state of the art deep laser engraving.